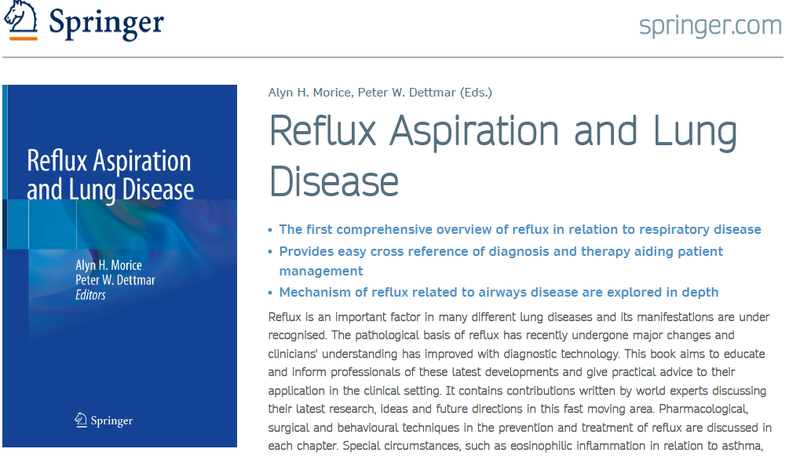 We’re delighted to announce the publication of a new book on how reflux can be connected to respiratory disease that is co-edited by Professor Peter Dettmar and Professor Alyn H. Morice. 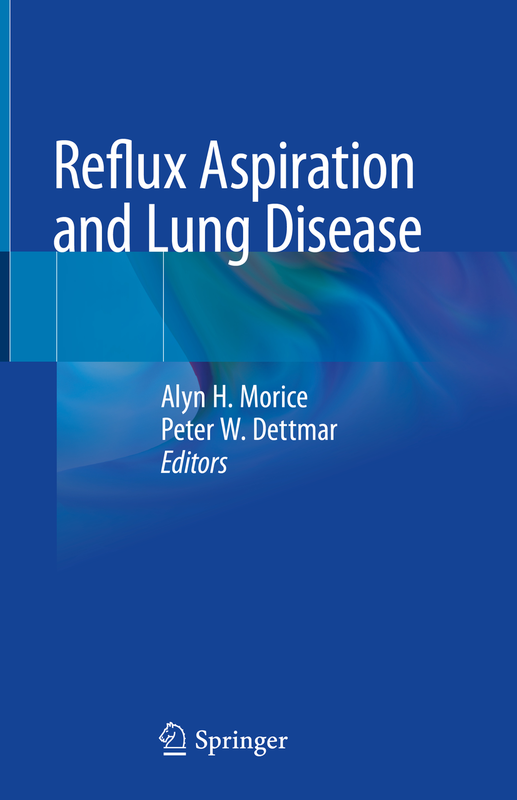 The book, entitled Reflux Aspiration and Lung Disease, is now available online at Springer.com and released in print in Europe, North America and around the world. Aimed at educating and informing professionals of the latest developments in the pathological basis of reflux and improvements in diagnostic technology, the book provides practical advice and explores the mechanism of reflux related to airways disease in depth. Professor Dettmar, director of RD Biomed at Castle Hill Hospital in Hull, and the former global research and development director in gastrointestinals for Reckitt Benckiser Healthcare.